As nations work to achieve Universal Health Coverage (UHC) and the Sustainable Development Goals (SDGs), the quality of health care must not be overlooked. Good governance plays a critical role in ensuring and improving health care quality. The Consensus Statement on Strengthening Governance to Improve the Quality of Health Service Delivery (“the Statement”) was conceived and drafted by participants at the 2nd Governing to Improve Quality workshop (August 9-11, 2017) with inputs provided by a virtual community of practice (COP) for governance for quality health care, comprised of 14 country representatives from four continents, development partners and international institutions. The statement provides guidance to policy-makers, government ministries, the global health community, front-line health workers, and the general public on the importance, challenges and opportunities for strengthening governance to improve quality of health care. 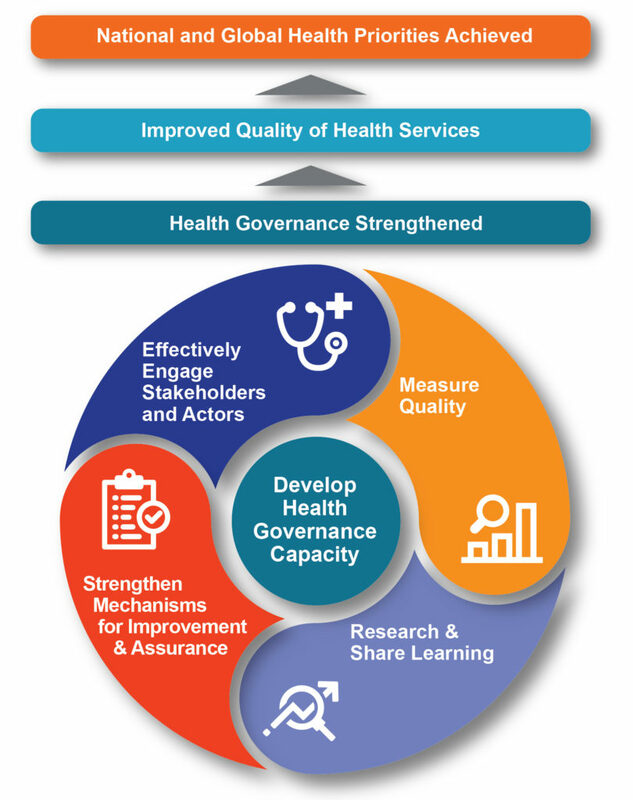 It documents the journey of governing for improvements in health outcomes and proposes priority actions to establish and improve governance strategies, actions, and roles and relationships to strengthen health quality. The statement calls on governments, the private sector, global organizations, and development partners to strengthen governance, including the transparency, accountability, and responsiveness of health care delivery, to assure and improve quality, through key investment priorities.